Today begins a new saga for Corellian Run Radio. 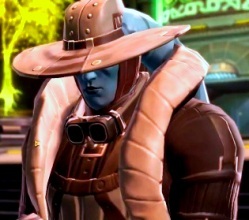 We have been your source for one of the community’s continuing podcasts for SWTOR. We have been the place to go for great articles tackling updates, news on SWTOR, editorial pieces, features stories highlighting members and guilds that make up our great community, plus the recently adding articles on Operations and PVP. Now, starting today, Corellian Run Radio provides you with video content. It is with great pride we offer you our first video. Please enjoy! I want to proudly introduce Gaddock Teeg. He is the newest member of the CRR team. Gaddock will be bringing you various new video guides, tips, and highlighting any World Events like the one currently going on. Without further any further ado…here’s Gaddock. Hi folks, in the following video I will be discussing the introductory quests to the Grand Acquisitions Race. Spoiler Alert: I have left in the first two cut scenes so that people who are on the fence about coming back to the game for the event can see what they’re missing. If you want to stay completely spoiler free I advise you to get into the game and do the introduction for yourself.